Hi! I can’t wait to share some of my favorite tips with everyone and this one is AWESOME! 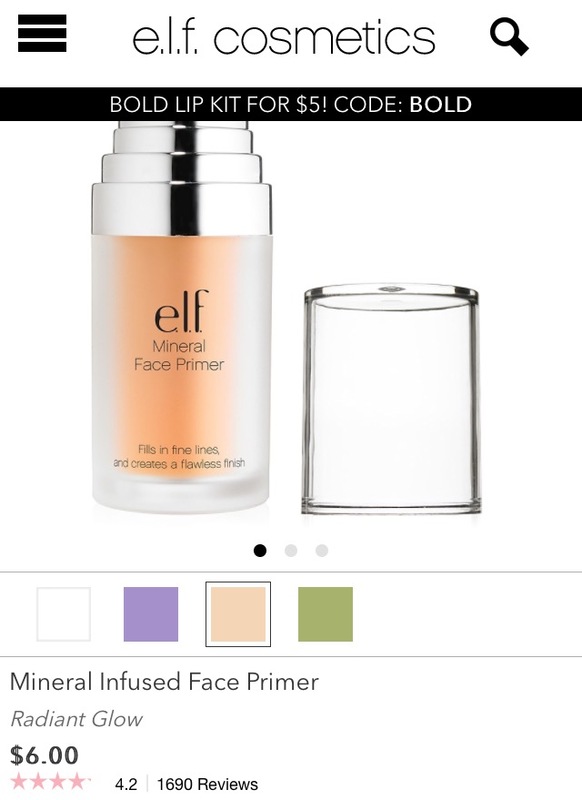 We all love a good primer for our face, am I right?! It blurs imperfections by filling in pores and fine lines and simply giving your skin a soft focus look without the filter (not to mention it ups the lasting power of anything you put on after) Well, guess what!? if applied to your Body you can get similar results. Primers work great for perfecting the appearance of your legs by smoothing their appearance and diminishing the look of cellulite and other imperfections. I know, know…a good primer can be pricey and generally come in small packaging; however, I have found one that works great, costs very little, is a good size and comes in multiple formulas! Hurray! 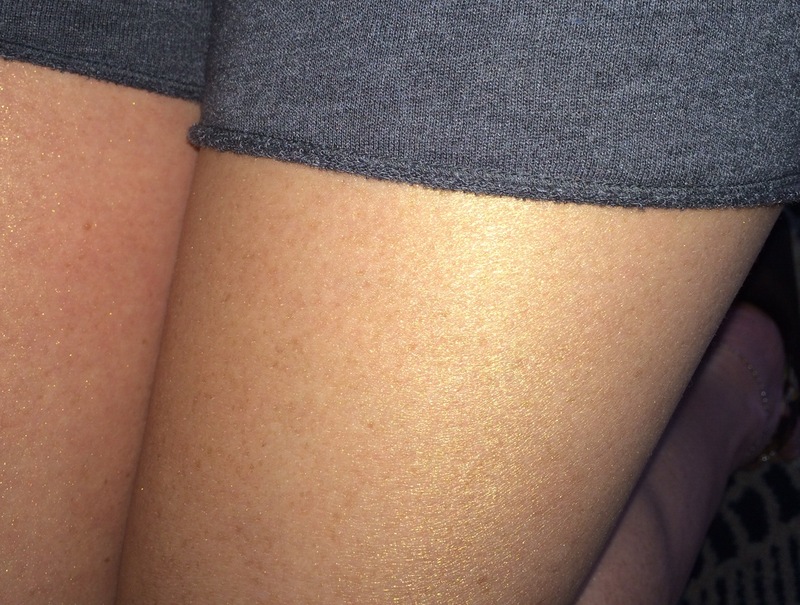 Below are a couple close up unfiltered photos of my legs after applying Elf Mineral infused face primer in Radiant Glow. Note: This particular primer is kind of pearlescent, shimmery and has a fine sparkle. 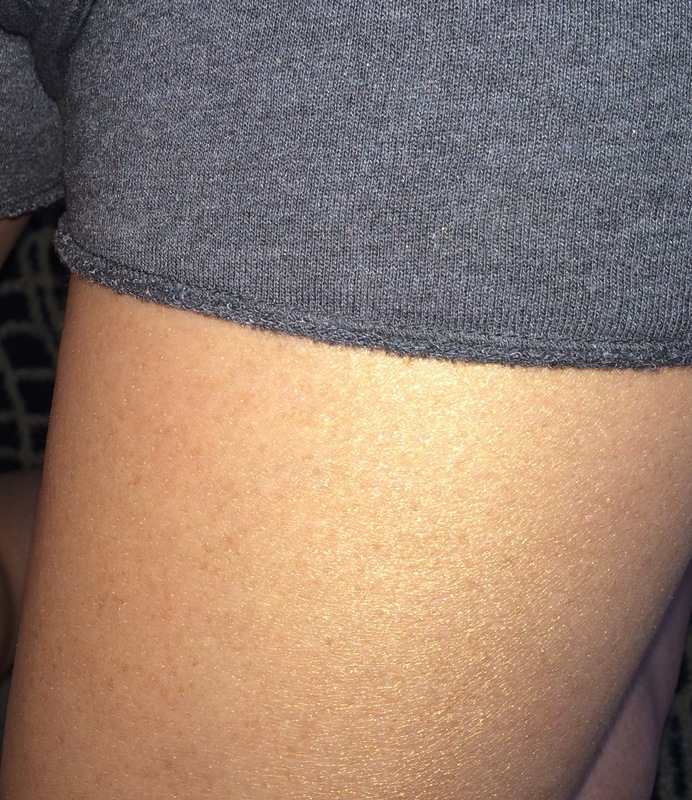 I like the way it looks on my legs for certain occasions but if its not for you there is also a clear version as well as redness correcting green and brightening violet. Thanks for checking out my tip of the day! ← IPSY REVIEW! *JUNE* individual product reviews, links, product info and…..